Should governments and parents of hostages pay ransom to terrorist groups? While most of us sat numbly in our living rooms watching the news about the beheading of journalists James Foley and Steven Sotloff, their parents and parents of three other adult children taken hostage by terrorist groups in Syria had been working behind the scenes to ensure the release of their children. They had limited support from the American government. Only one, Theo Padnos, was saved. The other four, including James and Steven and Peter Kassig and Kayla Mueller were killed. 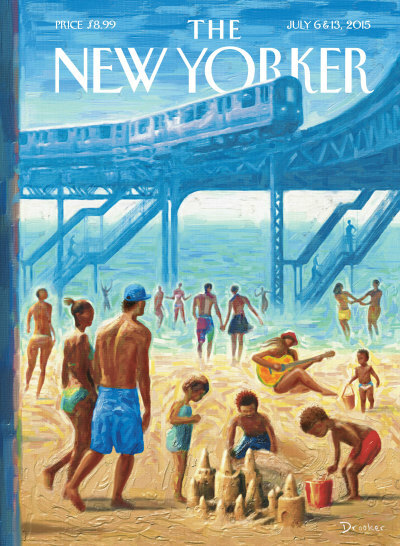 The July issue of the New Yorker reports on this sad story. The parents were brought together by media mogul David Bradley, who was committed to helping free the hostages, after he helped free one of his freelance writers who had been taken hostage in the middle east. The American government had little involvement in solving that case and Bradley realized that the parents of these other five hostages would need help to obtain the freedom of their children. Bradley provided financial resources, contacts and skills. But it was to no avail. ISIS, who held four of the hostages, started their beheadings in retaliation for US attacks on them. They started with James Foley. El-Nusra, a break-off group, held Theo Padnos and was convinced by a representative of the Qatari government to release him. It is uncertain how Kayla Mueller was killed. In the US, it is currently illegal for the government or any private group of individuals to negotiate and pay ransom to terrorist groups. Experts say that providing ransom only encourages the terrorist groups to take more hostages and ransom funds their terrorist activities. However, after pressure from parents of hostages, President Obama said in June that families would not be prosecuted for negotiating with and paying ransom to terrorist groups. In Canada, Prime Minister Harper has said the government will not negotiate with terrorists. However, it is known through leaked documents that ransom was paid for the release of diplomats Louis Guay and Robert Fowler and other hostages, although it is not clear who paid the ransom. Other countries such as France are well-known for providing ransom to terrorists to free their citizens. 1. Should your government negotiate and pay ransom to terrorist groups? Should the position be different if your child is part of the armed forces or should the policy be the same regardless if individuals are there as aid workers, journalists or with the private sector? 2. Should you, as an individual or couple, raise money and negotiate with terrorist groups if your government will not do it on your behalf? Should you defy the law to help save your child who has done nothing illegal him or herself? 3. Should the government have a stated policy of not negotiating with terrorists or paying them ransom, but do it quietly behind the scenes? Should the government have a policy of not allowing individuals and private groups to negotiate with terrorists but then turn a blind eye when they do it? 4. How much support should you give your child who is deliberately putting him or herself in an unsafe situation, especially when their work is critical to those who they are helping? In a heartbeat, I would do anything to help my child who was held hostage, whether or not it was legal. My primary responsiblity is to my child and in a case of hostage taking, his or her interests trumps the interests of my country. My government’s primary responsiblity is to all of its citizens and I understand if it has a stated policy of not negotiating with terrorists. However, I hope that it would find a way of quietly helping my child obtain his or her freedom. I would discourage my children from deliberately putting themselves in harm’s way. But if they insisted, I would have no choice but to support them. I would want them to be able to come to me without hesitation about any problems that occurred resulting from their decision or without fear that I would blame them for their predicament. When my son went to Bangladesh for three months last winter, I was fearful. Obviously there is no comparison between working as an aid worker in Bangladesh and working as one in Syria. However, social unrest resulted in a general strike throughout Bangladesh and demonstrations were everyday occurrences. I had to trust that my son and the orphanage director where he volunteered would make sensible decisions about where he could go. I breathed a sigh of relief when he arrived home safely. My heart goes out to those parents whose children did not. What policy do you think the government should have? What would you do in the event your child was taken hostage? Please leave your response in the Reply Box below.